Gelinas HVAC Services offers Cape Elizabeth Maine HVAC services for residents and commercially owned businesses in the Cape Elizabeth area. Some of our services include plumbing, heating systems, heat pumps, cooling systems, humidification and ventilation. We offer free consultations and estimates to know exactly what you need and how much it will roughly cost. 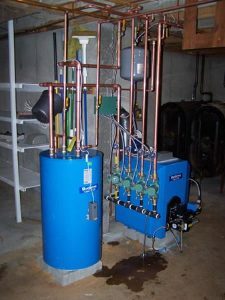 Our HVAC services include service and repairs, replacement of existing systems, service and installation for oil, LP/Natural gas, electric systems, energy efficient solutions and upgrades, maintenance programs with discounted hourly rates and fire sprinkler systems. Our top priority is to be trained and certified on the newest technology in efficiency to make going green easier. We have different hourly rates based on what service you are looking for. Our office hours are Monday through Friday, 8:00 AM to 4:30 PM. We also do offer maintenance agreements that minimize your cost. Customers with our maintenance agreement receive an annual cleaning of their heating, oil furnace and oil-fired boilers and air conditioning units on top of the savings you earn when choosing our maintenance agreements.